The two candidates in the Crested Butte mayoral runoff election took the stage of the Mallardi Cabaret Thursday, December 7 in front of a holiday set and tried to distinguish themselves for voters who will choose the leader of the Town Council for the next two years. Chris Ladoulis and Jim Schmidt topped the votes in November’s election in a four-man race and were thrown into the runoff that ends December 19. The candidates showed many areas of commonality, some differences on issues, and differences in style. When each had the opportunity to ask a question of the other, they both went to the perceived negative issue of the other candidate: the general perception of Schmidt as a representative who often sits on the fence over controversial issues until the last minute; and the perceptions of Ladoulis as sometimes having had lukewarm enthusiasm and a lack of time commitment to the council during his recent four-year term. Citizens submitted questions for the candidates and Schmidt and Ladoulis touched on several topics. When it came to the recently passed ordinance limiting vacation rentals in town, Schmidt voted for the new regulations and Ladoulis voted against them. Asked by Jim Michael if either candidate would totally embrace Jackson Petito’s recent political statement that the town “should not grow by one more visitor or shorten off-season by one more hour until we make what we have today sustainable,” both said they agreed with the “sentiment” of the statement. Both candidates support more affordable housing but had real issues with the 240-unit rental project being proposed at the corner of Brush Creek Road and Highway 135. Schmidt said the pushback on Brush Creek is primarily because of the density and the income figures involved with the project. “Over the years I’ve fought strongly for every affordable housing project ever proposed in the valley except the Brush Creek project,” said Schmidt. “This project is way too big. I never imagined 240 units on that parcel of land. Given AMI [Average Median Income] figures and the amount of money people need to make to even get to the 100 percent AMI figure of $49,000, what they are talking about out there is a false affordable project,” he said. Other topics they touched on were improving communication and relationships with the county, which have lately been strained. Both said they have good, personal relationship with the county commissioners. 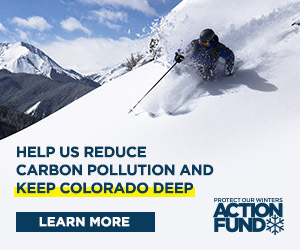 Both said mitigating the impacts of increasing backcountry use was important and lauded the Crested Butte Conservation Corps and Mountain Manners programs the town has helped fund. The Big Mine Warming House expansion project has not been completed and several people wanted to know if the candidates would commit to seeing it finished. Both noted the high cost of the proposed expansion but said they would work to move it along. In a similar vein, both candidates said they would commit to help the Trailhead Children’s Museum find a permanent home. Both candidates said they wanted the town to become more “green” and sustainable. Both said they would commit Crested Butte to be run on 100 percent renewable energy by 2030 and ask the council to vote to commit to the Paris Climate Accord. The entire forum can be heard at KBUT.org.